Google updated the Google maps for iPhone X, the app now uses the entire space of the iPhone X’s screen to display the maps. 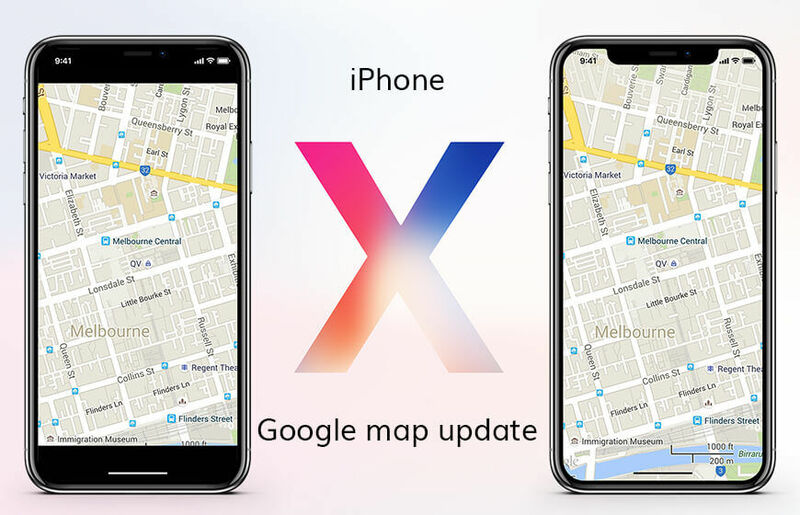 It's almost a month since the Apple fans got their hands on the iPhone X now, Google has updated its most anticipated app, the Google maps for the iPhone. The company has been working since last 27 days to update the Google Maps for iPhone X support. The newly updated Google Maps is designed to leverage the 5.8-inch display of the iPhone X. The Google Maps on the iPhone X opens up with much larger UI experience compare to other iPhones due to its taller screen. However, the updated app looks good on the new iPhone with the search bar located at the top of the screen. The directions are available at the bottom of the screen, the whole screen in between the search bar and directions show the entire map. Google has adjusted the app according to iPhone X features to use the entire screen for location searches. The menu button is available to top left corner of the screen and can be accessed with one hand. One thing is pretty clear that you can't use the Google Maps with one hand on iPhone X. Google took almost a month for updating the app for iPhone X and also provided some of the unspecified bugs fixes for the app with the update. “Thanks for using Google Maps! This release brings support for iPhone X in addition to bug fixes that improve our product to help you discover new places and navigate to them. Get the latest version for all of the available Google Maps features.” mentioned in the App Store. Maybe Google had to work a bit on the UI more of the app for iPhone X as big screen could be used more efficiently. The updated app is available at the App Store for iOS users to download. Recently, Google also changed the Cupcake feature from its Map app after people started to criticize it.